College is over, but you still have to do the kind of math that matters. Like: How am I supposed to save $50,000 for a down payment on a house? If this question sends you into a shame spiral, making you second-guess your career, the city you live in and the jacket you bought yesterday, stop right there. You don’t need to save 20% of a home’s value for a down payment. Yes, it could lead to a cheaper mortgage payment or lower interest rate. But many federal, state and local programs will let you buy a house with less down, or help you pay for the down payment outright. Here are your options — and how to decide what’s best for you. 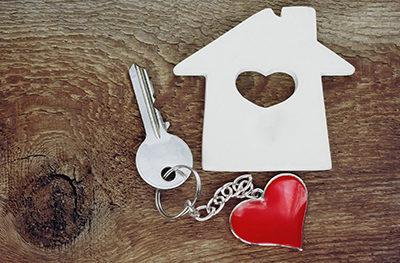 You may not know it, but there are tons of first-time home buyer programs that can make homeownership more affordable. State and local governments invest in them because high rates of homeownership can mean more stability in a community, and more accumulated wealth for local families, says Marietta Rodriguez, interim senior vice president for national initiatives at the nonprofit NeighborWorks America. Daria Victorov, a certified financial planner at Abacus Wealth Partners in San Mateo, California, is buying a home this way. After applying for about 10 properties in San Francisco’s affordable housing lottery, Victorov won the chance to buy a one-bedroom apartment. Since she makes less than the program’s income cap — which for 2018 is about $83,000 per year — she was able to put 10% down, get a 30-year, fixed-rate mortgage at 3.4%, and pay about half the amount the unit is worth, she estimates. Take advantage of your city’s or state’s generosity. Look up local programs through the U.S. Department of Housing and Urban Development’s website. You can also go directly to your state’s housing finance agency, Rodriguez says, and ask about resources. The National Council of State Housing Agencies has a handy list of agencies to contact. Look into national programs, too. A loan through the Federal Housing Administration lets you put 3.5% down, for instance (some banks and traditional lenders also have low-down-payment options). These may require you to pay extra mortgage insurance each month; use a mortgage calculator to see how much it would cost. Buying could still make sense for you, and the insurance may be able to come off your loan eventually. Just because you can buy a home with 3.5% down doesn’t mean you should. You plan to live in the same place for five years or more. You won’t clean out your savings to pay for the down payment and closing costs. You’ll still need money left over for maintenance, repairs and nonhousing emergency expenses. Your credit score is in good shape. A score of 720 or above in the FICO scoring model will get you the best chance at qualifying for a loan, and the lowest interest rates. Some loan programs, though, like the Federal Housing Administration’s, don’t require such high scores. Even if homeownership may be closer than you thought, renting is not a dirty word. Until you know where you want to put down roots, you can keep saving and enjoying the freedom of asking your landlord to repair things. But when the time comes to buy, know there’s help out there. Should I Keep Renting or Buy a House? The article Don’t Let a Down Payment Scare You Off originally appeared on NerdWallet.